A 30-people team at your service, able to respond all your demands in terms of quality, and providing an efficient technical support when you need it. Our different skills allow us to offer our customer a complete solution, all stages of tool construction being processed under the same roof. 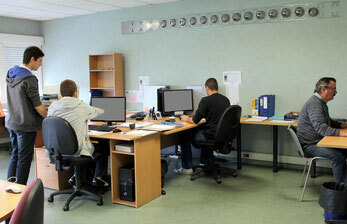 Our 4 people designer team office is located in our plant. The best solution to offer the reactivity that our business needs. A wide and diversified range of machines to meet growing needs. Please see EQUIPMENTS page. Milling: We offer capacity of milling up to 5.00 meters long, but we also work all the small steel blocks that make the whole tool. 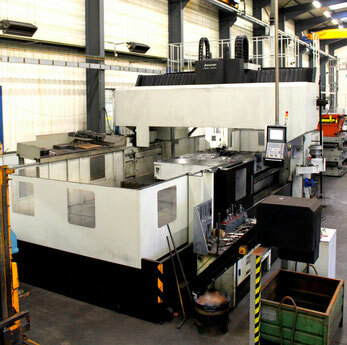 Johnford DMC 5000 Milling Center - Capacity 5.000 x 3.400 x 1.100 mm. We owe a FANUC aoia machine, this kind of machining permits to work very tiny and precise pieces such as punches and dies, necessary in tool construction. 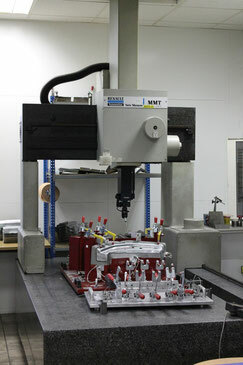 View our our FANUC Alpha o-i-a machine. See Equipments tab. The assembling process is made of several steps: One of them is correcting machined parts, then assembling them all for eventually construct the final tool. These apparently simple operations actually require a high grade of care and precision. That’s why an important part of our team is made of meticulous and qualified operators. Another crucial part of our job is, once the raw assembling has been done, to adjust and enhance the tool. For this we proceed to trials under the press machine: this permits to replicate the exact final production environment. 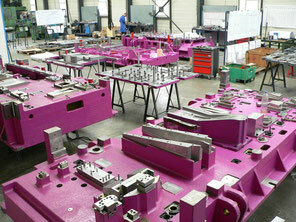 In cooperation with our quality control department, we can achieve the tooling construction. During this phase we are also able to provide first sample parts to our customers. Our in-house inspection and quality control department helps us to make sure that all press tool parts and finished components are correct and meet exact dimensions and tolerances required by our customer. This part of the job consists in measuring in 3 dimensions the part produced by the tool. The control operator works according to blueprints provided by customers, checking the conformity of the sample part. He also has to edit measurements controls. We can also design and manufacture the control device ourselves. 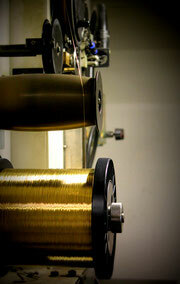 Photo: Our tridimensional control machine. 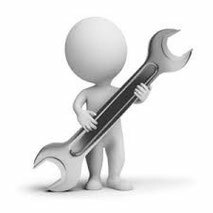 We have our own maintenance department, an important plus for us, when appears a fail on a machine. No need to wait for exterior help, we can fix machines failures and breakdowns immediately. This helps us a lot in maintaining our goals in deadlines terms. 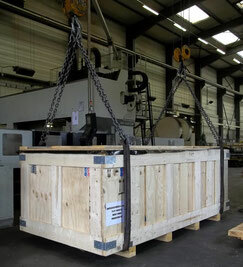 Since a few years, we deliver a large part of our work abroad, and that’s why we had to look for new logistic solutions. Today, we are able to ship all over the world, choosing with care our suppliers and forwarders. Plus, our multilingual team ensure the closest follow-up of all our expeditions. 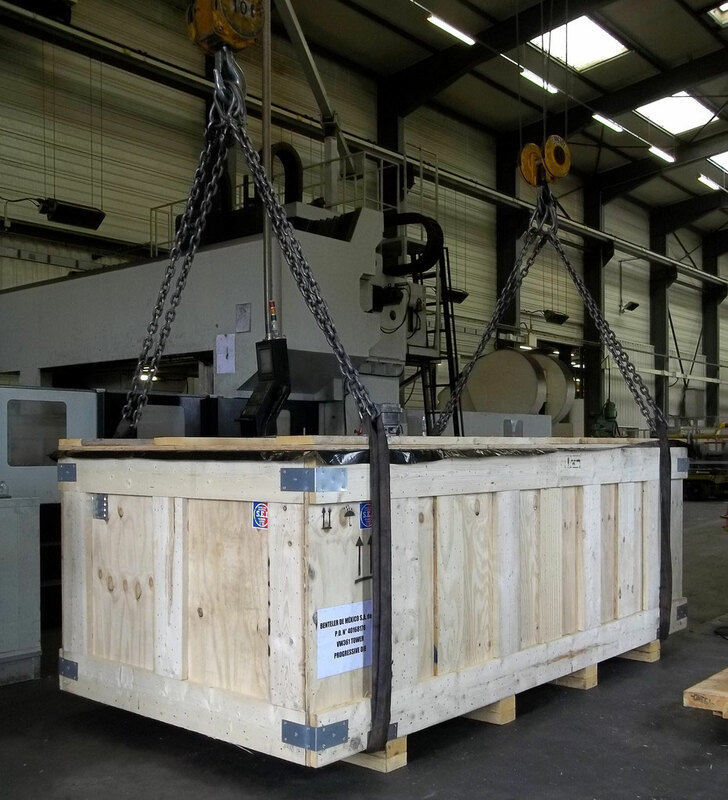 This photo shows a waterproof and NIMP15 wooden packing for a tool shipping from our plant to Mexico (May 2014). 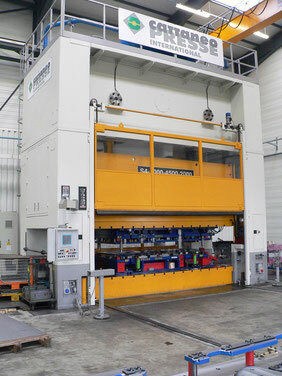 Dimensions 4.000 x 2.000 x 1.500 mm - Weight of tooling 16,5 Tons.